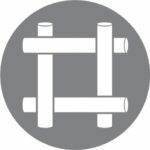 – Bushfire Mesh, part of the solution for your bushfire protection. 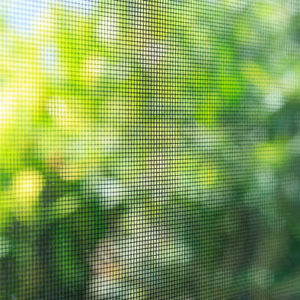 – Window & Door Mesh, part of your solution for stopping insects, intruders & embers. 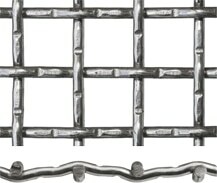 Our range is designed so there is a mesh to suit any application, from soft to rigid. We stock an extensive range of roll widths and sheet sizes in black powder coated and uncoated. The black powder coated mesh (contains UV stabilizer) and provides excellent visibility. 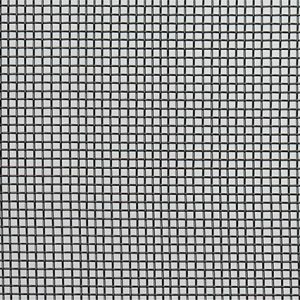 SSWM Black Woven Mesh can be used to meet the requirements of AS3959 amdt 3 for BAL 12.5 -FZ, where mesh is referenced and if the prescribed construction requirements are met. 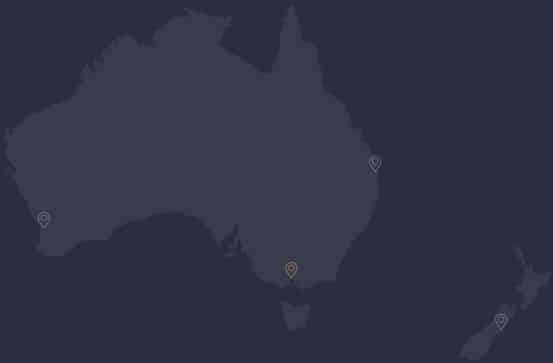 Click here for Bushfire Mesh. 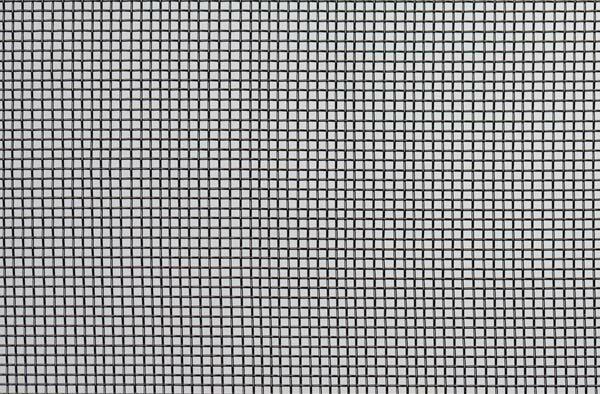 Click on the technical ‘data sheet link’ PDF in the table below for the specifications and information on our Woven Black Mesh to assist with your specifying and ordering. Please contact us to request samples of our Woven Black Mesh range to determine which mesh best meets your requirements. SSWM have undertaken extensive testing please refer to the TESTING/STANDARDS tab below. Stainless steel is a low maintenance material, but not maintenance free. Refer to our CARE page for further information. 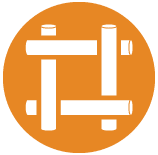 Mesh – The number of openings per lineal inch. 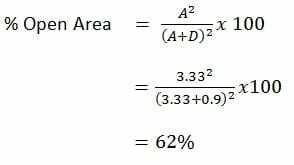 Pitch– The distance between the middle point of two adjacent wires or the sum of the aperture width and the wire diameter. Micron (micrometer) is a unit of measure, in which usually only fine mesh under 1mm is referred to. A micron us a thousandth of a millimetre. 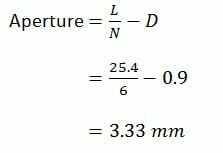 In this example 325/48.5, 0.043mm aperture, 0.035mm diameter is used. 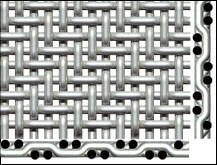 The most common and simplest weaves.Each warp wire (wire running parallel to the length of the cloth) passes alternatively over and under the wires running transversly through the cloth at 90 degree angles. 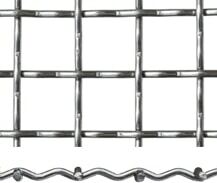 Has extra crimps in warp and weft wires between intersections. Is produced with pre-crimped wire. 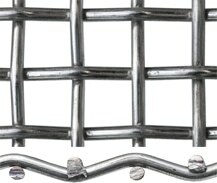 Lock crimp weave is stabilised by a notch or bump at the wire intersections. Is Produced by passing each fill wire alternatively over and under two warp wires.